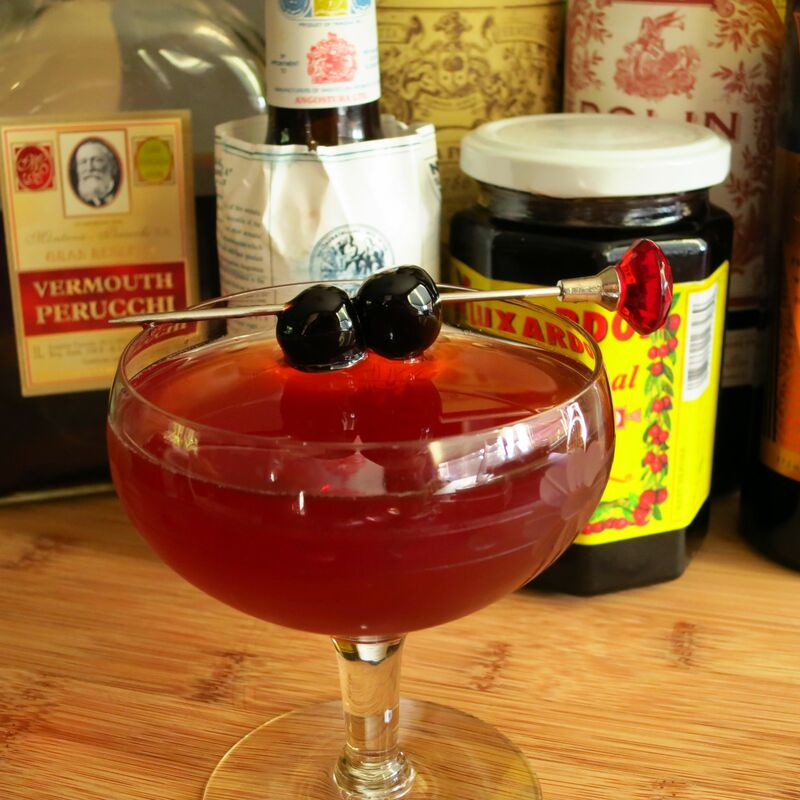 Sweet vermouth is a staple in the Booze Nerds cabinet, as it is used in a wide variety of drinks. As a result, we have quite a few different brands. This week, we thought we would check out their flavor profiles and how they stack up in a couple of classic cocktails, in this case the Martinez and the Rob Roy. Read on to find out what we discovered. 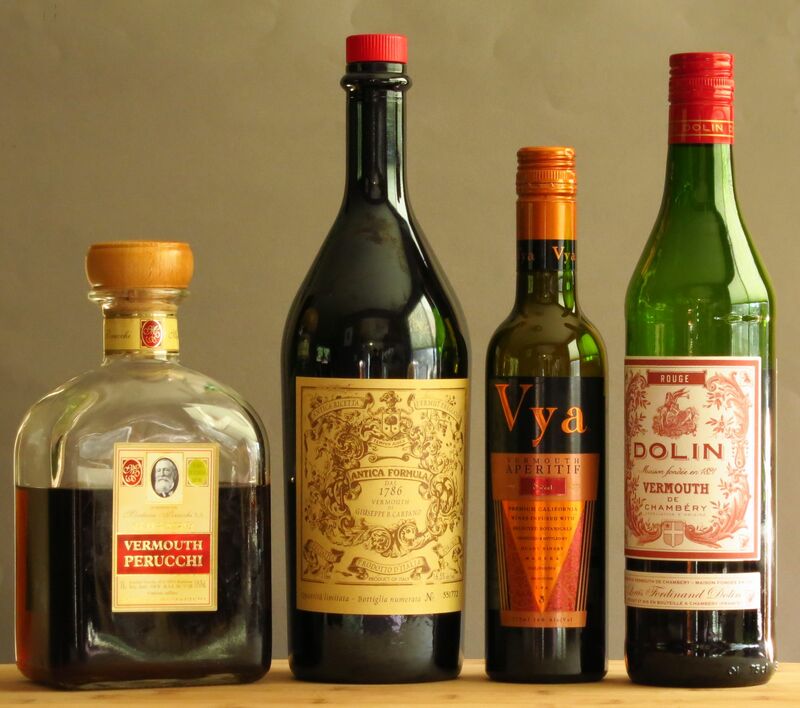 We currently have four different brands in residence, Dolin, Vya, Perucchi and Carpano Antica. First, we tasted all four on their own to establish a base line. Nose: Wine, with a sweet-and-sour character. Lot of bay, black pepper, thyme along with hints of dill and cinnamon. Has an interesting meaty/savory quality. Palate: Very similar to the nose, though sweeter, with bay, black pepper, and thyme. Somewhat bitter finish. Very light bodied. Most acidic of the four. Nose: Sweet oxidized notes, like port, along with lemon balm. Palate: Like port but not as sweet. Hint of cinnamon and cloves. Slight bitterness on the finish. Medium body. Mostly sweet and bitter without strong herbal notes. Mild acidity. Nose: Similar to the Dolin, with a sweet-and-sour character and bay and thyme notes. Differs in that it also has some mineral and honey aromas as well. Palate: Bay, dry mineral notes on the front. Dried lavender and dusty herbs on the mid-palate. Grape brandy notes on the finish. Moderate bitterness throughout. Light bodied. Mild acid. Driest of the four. Nose: Sweet vanilla, barrel wood along with allspice. Faint bitter green smell like wormwood. Palate: Orange peel and vanilla to start. More astringent along with chocolate notes on the mid-palate, underpinned by wormwood bitterness. Sweet oak finish. Quite sweet overall. Fair amount of bitterness, especially on the finish. Heaviest body of the lot. For our first cocktail, we chose the Martinez. Our hope was that with the not-too-aggresive gin base and the fair amount of sweet vermouth used, this drink would allow us to differentiate some of the more subtle notes of the vermouths. Stir all ingredients with ice. Strain into a glass. Garnish with a lemon twist. Nose: Lemon and rose. Little bit of bay and baking spices. Palate: Sweet floral flavors from the gin and a little cherry from the maraschino to start. Cherry, almond, bay, thyme on the mid-palate. Some tannins on the finish to counterbalance the sweetness on the front. Bitter finish for Christa. Bitter-sweet finish for Shaun. Nose: Dried cherries, cloves, sandalwood. Palate: Sweeter than the Dolin. The gin and maraschino are more muted throughout. Bitter sweet almonds at the front. Then lemon peel and cloves. Finish kind of drops off for Christa, has savory, wine-y qualities for Shaun. Nose: Fairly muted nose. Bay, thyme, lemon, a hint of dried fruit. Palate: Vermouth stands out more clearly in this one. Juniper and garden herbs on the front. Subtle maraschino along with caramel sherry notes on the mid-palate. Bittersweet finish. Fairly gentle. Best balanced of the four. Nose: Orange and lemon peel, vanilla, almonds. Wood notes underpinning everything. Palate: Tastes a lot like it smells. Orange peel, lemon peel, barrel wood, vanilla throughout. Some floral notes from the gin on the mid-palate. Sharp, green bitterness at the end of the mid-palate into the finish. For our second cocktail, we went with the Rob Roy. In this case, we wanted the base spirit to have a little more oomph so we could see how each vermouth stood up to a more assertive liquor. Stir ingredients with ice. Strain into a glass and garnish with a twist of lemon or a cherry (we used the latter). Nose: Heather, honey, cherry, light peat, smoke. Palate: Malt and honey along with light smoke on the start. Oak and a vegetable sweetness like roasted squash on the mid-palate. Toasted grains on the end. Scotch not as assertive as expected given the nose. Nose: Faintly medicinal. Some of the port scent of the vermouth peeking through. Scotch not as pronounced compared to the Dolin. Palate: Pretty well integrated. Sweet wine at the front, then malt and peat from the scotch. Bitter spicy finish. Nose: Smoke, honey, and malt from the scotch. Dusty mineral notes. Faint dried fruit like cherries or figs. Palate: Cherry jam at the very beginning. Mineral notes plus bay, thyme, and a dry, almost nutty flavor in the middle. Spicy finish with a bit of bitterness. Very dry. 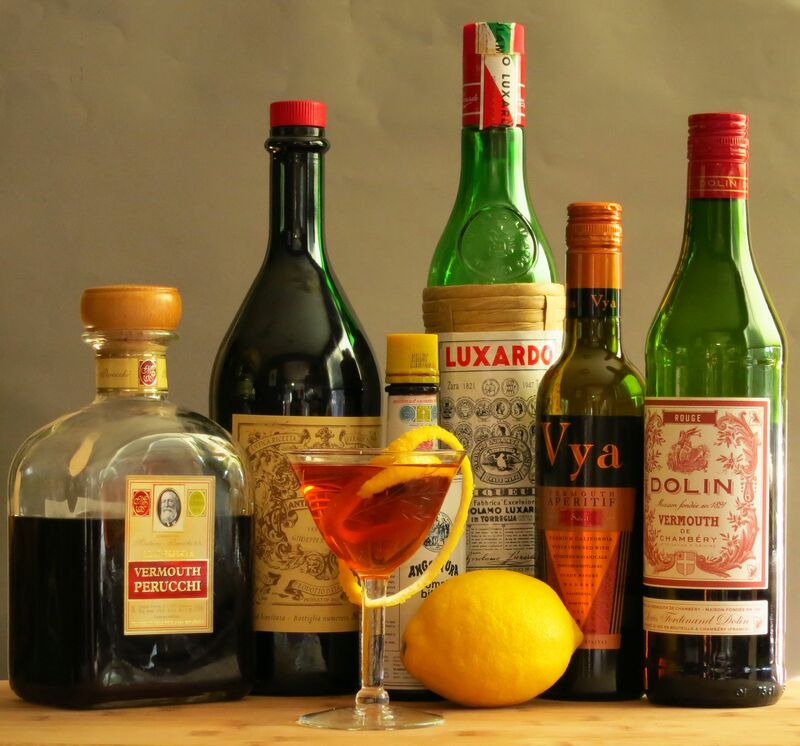 Vermouth holds its own relative to the scotch. Palate: Very sweet intro, followed by sweet oak and bitter green notes. Then honey, peat, and a cherry-orange sweetness. Strong bitter-sweet finish. Very full-bodied. What’s interesting to us is how some of the more subtle notes of the vermouth carry through in some cases but not others. In particular, we had hoped that the lovely and unexpected savory notes in the Dolin would come to the fore in at least one of these drinks. However, they did not. Clearly more experimentation is required. 🙂 But it is exciting to see how varying one ingredient produces a very different cocktail. 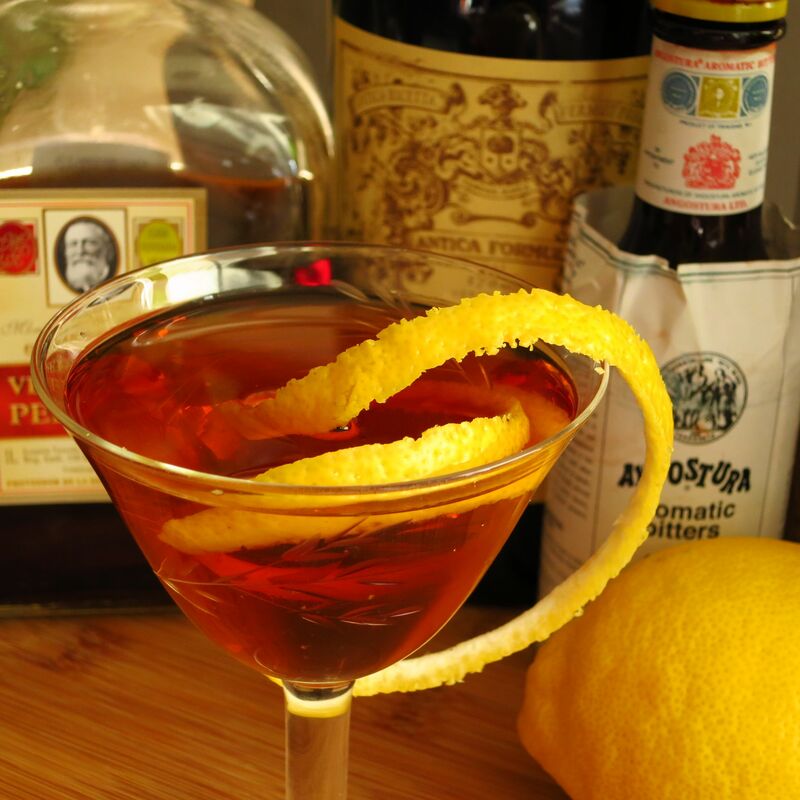 This entry was posted in gin, maraschino, scotch, sweet vermouth, Tasting Notes and tagged carpano antica vermouth, dolin rouge, Vermouth, vermouth perucchi, vya sweet vermouth. Bookmark the permalink. One other sweet vermouth that’s becoming easier to find, but doesn’t get used a lot is Punt e Mes. 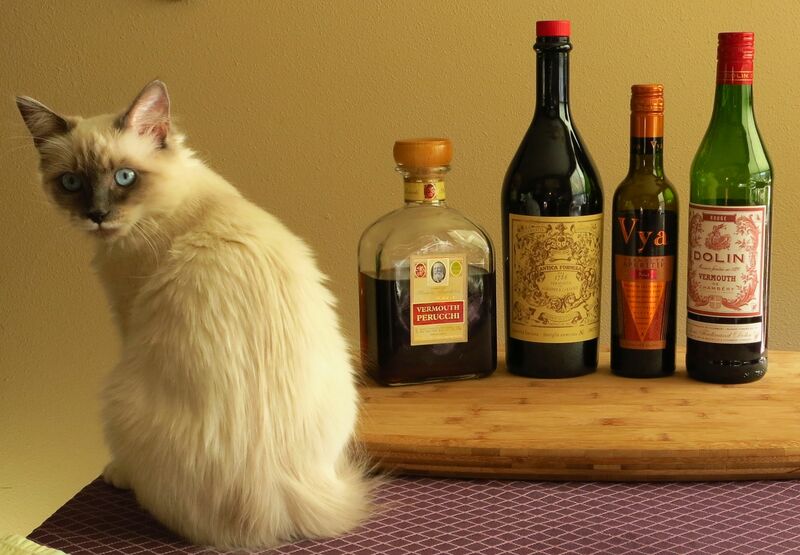 Vermouth di Torino is also becoming easier to get. Both are more idiosyncratic, but are great to experiment with.